Gutters can easily slide through life without ever being noticed. As long as they are working properly, there isn’t much to think about. Aside from an annual deep cleaning after all the leaves come tumbling down in the fall, your gutters don’t require much maintenance. Keep in mind, that they certainly demand attention every now and then. Your gutters are responsible for directing water away from the foundation of your home, and if they cannot complete their job, your house could suffer extensive water damage. Gutter repair or installation is necessary to keep your home safe. Advantex Restoration works hard to make sure your property stays safe in all areas — gutters included. Not all damages mean you need a whole new system. In fact, we can perform a simple repair to keep your current gutters working correctly. Choosing repairs is a great way to help you save money while still making smart decisions for your home. Advantex Restoration looks forward to repairing your gutters in an effective, timely manner. Reach out to our team today to get started. Whether you need basic repair or a full installation, we are the company for the job. Bulldog Gutter Guard is an aluminum insert designed to fit securely into your gutter and handle the heaviest of rainstorms. Bulldog Gutter Guard can be installed in your gutter with any type of roof shingles. It slips easily over the gutter. Unique front and rear attachment system strengthens the entire gutter system and extends the life of your gutters. from the danger and hassle of cleaning clogged gutters. 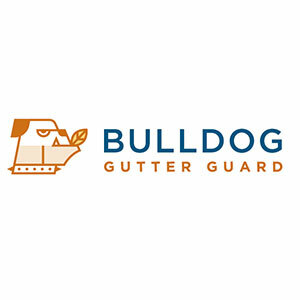 The Bulldog Guarantee When properly installed, you will never have a gutter or downspout clog again…EVER! We’re so confident in the performance of our system, we guarantee your gutter will remain clog-free for 25 years.